Businesses get a limited time to put in place the pre-trade show tactics as well as the strategy to use during the live event. In such a case it will be a wise move to opt for professional expertise in trade show booth design and building. This will add dual advantages – it will not only leave you time to better prepare your sales team but also give you the benefit of creative exhibit booths that generate value in terms of visibility and conversions. The primary reason why trade show participation is important is the tremendous outreach potential it holds. A trade show is a well-publicized event. Different people would want to attend the shows for different reasons. Some companies would dispatch their sales team to your trade show booth to get vital information about competitive products. Your trade show exhibit design is the first thing people notice when they step into the venue. It is also true that they would pass by scores of such booth that deal in the same line of products or services as you do. What are the chances of the visitor ignoring the rest and stepping into your booth? With a well-laid out uncluttered design, you can ensure that the odds work in your favor. Beta testing has emerged to be a viable pre-launch step to ensure that the product works totally in sync with the target customers’ demand. A trade show is a great way to showcase your product and get an immediate response from visitors. Your visitors will be able to experience the product first hand and you can note down their queries, doubts, plus points, or things to be improved with the product. When you rent trade show exhibits it drives a higher volume of footfall and lets visitors engage meaningfully with your staff. This not only leads to successful market testing but also lands you with profitable business inquiries. A new product launch will need the total attention of the maximum number of people. This is why businesses opt to launch new products at a venue where the potential customers converge together. Typical examples are the CES (US) and Medica (Germany). The participation at these trade shows vary greatly. The CES trade show will attract general consumers, tech geeks, media, as well as business houses – a pretty big spread that includes B2C customers too. On the other hand, a show like Medica will attract a niche sector like healthcare stakeholders. These can be hospital administrators, decision makers, distributors, or wholesalers. Your product launch needs to be designed so that it creates the necessary impact and generate better business potential from the word ‘go’. A trade show booth design will help you in this case. They will appeal to the sensory and psychological perception of the trade show visitors, without looking out of place at the crowded event. It is a common human tendency to first test a product before they invest in it. With a product demonstration, they can get their hands on the latest technology and the most advanced features your industry has to offer. But how do you get a high number of users to opt for product demo? Simple! Set up a professionally designed trade show booth and capture their attention at live events like expos and trade shows. Since the product will be live in front of the users, they will be able to participate in the demo and experience it for themselves. For this, your trade show booth design needs to work its magic in diverting the attention from the competitor booths and attract it your brand booth. At a trade show it is not surprising to see hundreds or thousands of visitors converging at one place. With high-performance trade show display ideas, you can ensure that they do not remain simply visitors, but get converted to loyal customers. Be it local industry influencers, stakeholders, corporate executives, distributors, wholesalers, or even end customers, many people are willing to invest time in checking out the latest happening in your industry. All you need to do is have all elements like structure, graphics, flooring, lighting, or dedicated spaces to come together to make the visitor stop and enter the booth. And this can be done only when you opt for a great trade show rental booth customized as per your branding and specifications. At a trade show, many businesses participate with the objective to gain better business leads. They put on their best trade show appearance to capture visitor attention and have them to stay on their own booth premises for as long as possible. It is interesting to note that out of the different types of visitors like prospective clients, distributors and wholesalers, even your competitor may frequent the trade show event. 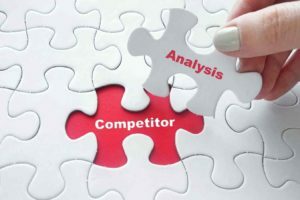 The reason behind visiting your competitor exhibit booths is simple – get to know your competition better so that you can fine-tune your product development or your marketing message. Trade show participation has emerged as a great way to know about participating exhibitors and get vital intelligence on how they will be pitching their latest offerings to the visitors. A range of visitors descend at the trade show venue to discover more brands like you and enter into a win-win business relationship. With custom trade show exhibits, you can perfect the art of selling to people when they are at the venue. This is the one place where your markets meet. A riveting design helps your brand be at the forefront when your potential customer is deciding who they want to work with. Businesses enter trade shows and participate as they strongly believe that such events will offer them the opportunity to meet active buyers and business leads. Therefore, a show is a marketing opportunity where you need to augment brand memory with a visually aesthetic and impactful trade show booth. In any live event, visitors would find a lot of exhibit booths and many exhibitors all vying for their attention. Here, a well-managed booth will stand out and help retain your brand for a long time. This, in turn, will have a higher likelihood of business inquiries post the show and increased conversions. It is easy for a business to see the value in tailored branding packages that a customer trade show booth idea provides. Right from custom content and graphics, to color themes that match the overall corporate persona, there are quite a few things to consider in the rent trade show exhibits. A professional booth designer will ensure that these come together cohesively and work singularly to deliver the lead generation outcomes you are expecting. Be it custom trade show exhibits or the in-hall branding opportunities, you need to capitalize on all aspects to divert the visitor attention to your brand. Be it graphics, hanging banners, digital screens, these elements need to be in sync with the overall marketing theme to radiate a strong branding perspective. Also, the in-hall aspects like floor graphics and texture, hanging aisle banners, or even hall entrance branding, will be factored in by an experience booth builder like Bethlehem Exhibitors to give you on-site sales the push it deserves. When you rent trade show exhibits, you get the perfect opportunity to drive qualified traffic to your booth. Your marketing team need not preoccupied with designing and building the custom trade show exhibits. Instead, they can focus on developing the apt marketing message that helps your brand generate leads once the visitors step in after being attracted by a compelling and creative exhibit design.